AISB took part in the 2016 European Student Film Festival that took place between May 3rd – 7th in Geneva, Switzerland. Over the course of 4 days students attended a number of workshops, learning skills in all areas of film production. They also participated in a 48 hour film challenge. 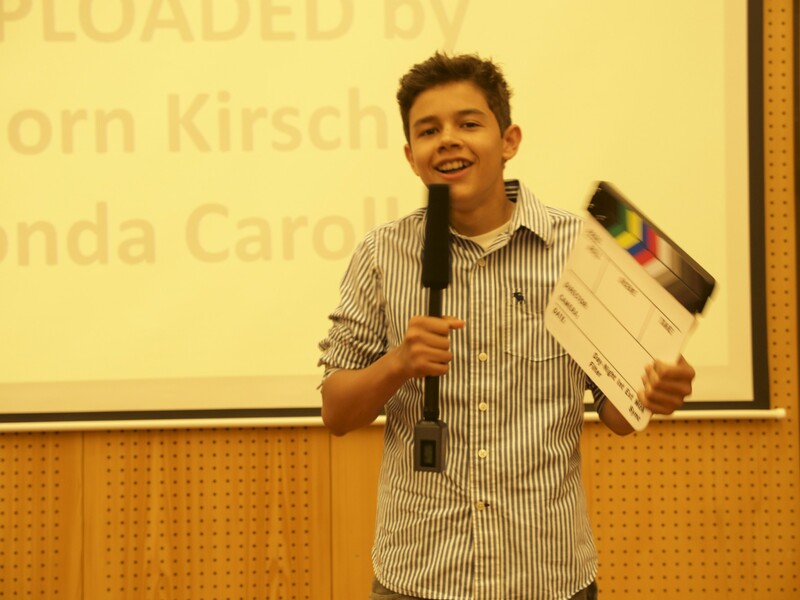 Each school submitted films made in the past year to be entered in the festival’s main competition. We are proud to announce that Grade 9 student, Jonda C, won ‘Best Picture’ of 2016 for the film “Uploaded” by Jonda C, Bjorn K, Emanuel M, and Venla P. This is the second year in a row AISB has won ‘Best Picture’, the most distinguished award in the festival. It is significant to note that the students who won ‘Best Picture’ are all in Grade 9, while most of the other films entered were made by Grade 12 students. The judges panel was made of award winning filmmakers from Los Angeles and Switzerland. Also, Leyla B’s group won the 48 hour film challenge. We are incredibly proud of the successes of our students, congratulations Vampires!